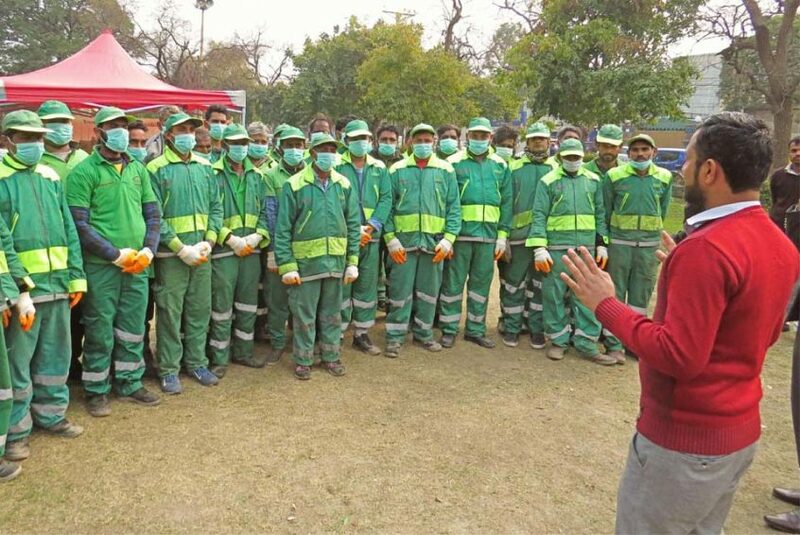 Lahore: To ensure the usage of personal protective equipment during field operations, Albayrak Waste Management is arranging special counseling sessions for its sanitary staff at union council level. A ceremony was held in Shadman on Wednesday in which Albayrak team established a camp for distribution of safety masks and gloves. Talking to the workers, Albayrak Assistant Manager Sadia Rafique said that provision of PPEs is a regular field activity which is arranged by Albayrak Waste Management Company. The usage of the safety kit is important for the health and safety of the workers. Later, a counseling session was also arranged in which the sanitary workers highlighted their work related problems. Albayrak team assured the workers that their issues would be resolved on priority basis.